The Alpinismo 55 backpack by High Peak USA features an expandable toplid pocket with two internal pockets, front bellow pocket, side bellow pockets, and one main compartment. It utilizes two side compression straps, ski loops, dual ice axe holders, EVA foam shoulder straps, Vario harness system, internal frame sheet, pre-formed aluminum suspension bar, and 3D molded foam backing. The Alpinismo 55 backpack by High Peak USA is a lightweight pack with lots of pockets and straps for lashing and compressing gear. I like the overall layout for minimalist trips but think the pack should incorporate a hydration bladder pocket of some type. Unless it's wintertime I always have a hydration bladder in my pack and I find a dedicated pocket helps with my overall organization. I love the front pocket on the Alpinismo 55 pack, as it bellows out to accept more items and includes an elastic web for holding even more gear like a light jacket. The Alpinismo 55 backpack feels comfortable unloaded, but I haven't tried it loaded up yet. 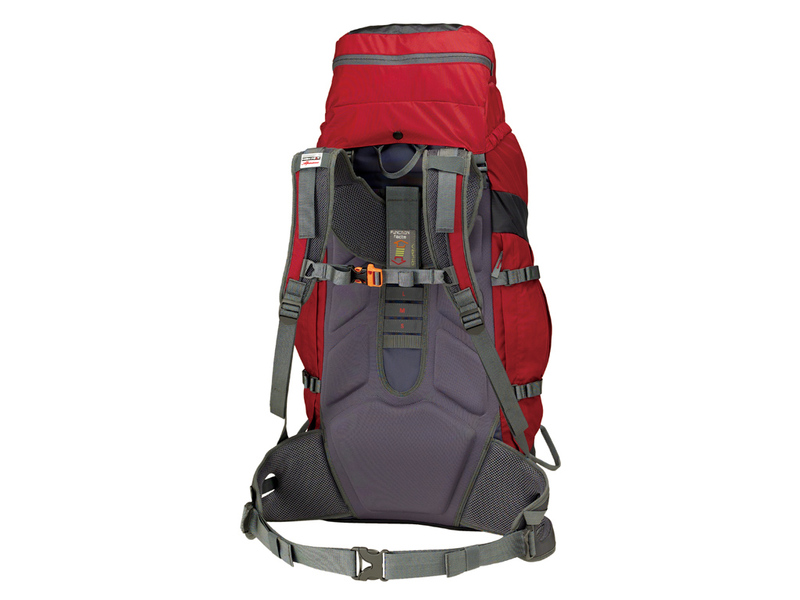 Like other High Peak packs, the hipbelt is not designed for super skinny folks. I have to cinch it all the way down to fit my 31 inch waist. This pack appears to be well made with tight stitching and no visible loose threads. It appears durable for a lighter weight pack. High Peak includes a whistle with the sternum strap buckle which I always consider a nice touch. I wish there was a separate sleeping bag compartment or at least another zipper near the bottom of the pack, but that would add weight to the pack. Overall it is a good looking pack and I look forward to testing it out. 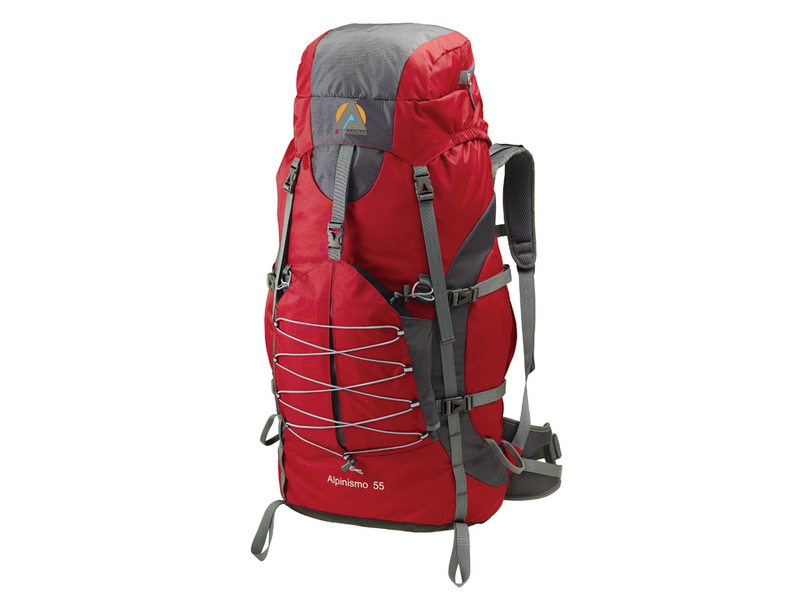 Special thanks to High Peak USA for providing the Alpinismo 55 pack for review.